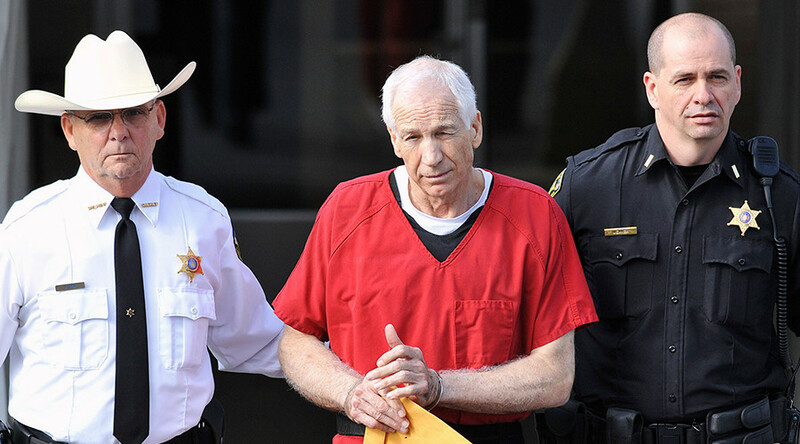 Penn State’s costs in relation to the Jerry Sandusky abuse scandal are nearing a quarter of a billion, four years after the former football coach was charged with 52 counts of sexual abuse on young boys over a 15-year period from 1994 to 2009. According to the school’s latest financial statement, Pennsylvania State University has paid at least $237 million in settlements and fines associated with case, after the school was found to have repeatedly violated campus crime reporting requirements. The eye-watering tally is a combination of various fees, including the recent $12 million payout to former assistant coach Mike McQueary, who won a whistleblower and defamation case against the school after he testified against Sandusky in 2012. On top of that, the school settled out of court with 33 victims who allege they were molested by Sandusky, with a total payout of $93 million, as well as a $48 million fine from the NCAA. Adding to the tally is $27 million in defensive legal fees, nearly $14 million is down to the three former administrators currently facing charges for their failure to report the suspected abuse, and $5.3 million has been spent on “crisis communications and other consultants,” AP reports. Finally, the school was fined a record $2.4 million by federal investigators last November after a five-year probe uncovered evidence of noncompliance with campus safety law. Several insurance claims are pending, but so far insurers have covered $30 million of the university’s costs.